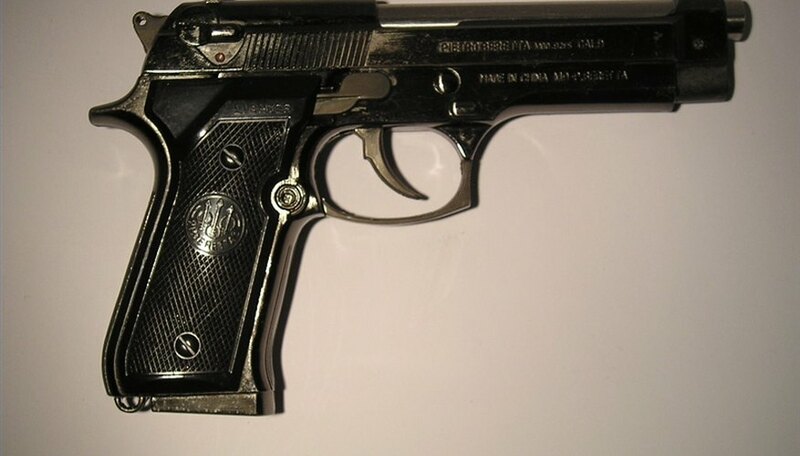 Prop guns used in movies can be real guns that have been loaded with blank ammo, a highly detailed toy, a rubber replica or what is essentially an air gun. During filming of "The Crow," actor Brandon Lee was fatally wounded by a malfunctioning blank gun. "Dummy" cartridges were made from live bullets by removing the shell, dumping the gunpowder, reinserting the shell and loading the gun with bullets that could not fire but would appear to be real. An unknown member of the crew fired the gun between scenes and a shell made its way into the barrel. Later, the same gun was then loaded with gunpowder-filled blanks and fired at Lee during a scene. The rouge shell was discharged by the force of the blank and lodged in Lee's spine. He died after being rushed to the hospital.